With Tests and One Day Internationals now joined by Twenty20 games, there is more international cricket than ever before. These games captivate a television audience of tens of millions throughout the year and throughout the world. But how do you keep track of all the players? The Wisden Guide to International Cricket (formerly known as The ESPNCricinfo Guide to International Cricket) is the answer. The 2014 edition of this already popular annual paperback will contain crisply written profiles of everyone expected to appear in a Test match in 2014. Published in November 2013, at the beginning of international cricket's busiest time of year and just ahead of the Ashes series, this is the only guide that tells you HOW they play as well as what they've achieved. The 200 players featured in the book all get full-page treatment, with a photograph alongside a career summary in words, facts and figures. And to back up the profiles, there are quick-fire records for every country, and up-to-date statistics from www.cricinfo.com, the world's biggest cricket website. 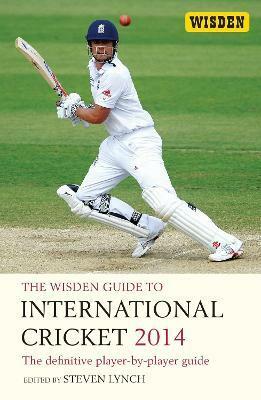 The Wisden Guide to International Cricket is the essential companion for every cricket lover, and the ideal complement to the long-standing Spring bestseller Wisden Cricketers' Almanack.